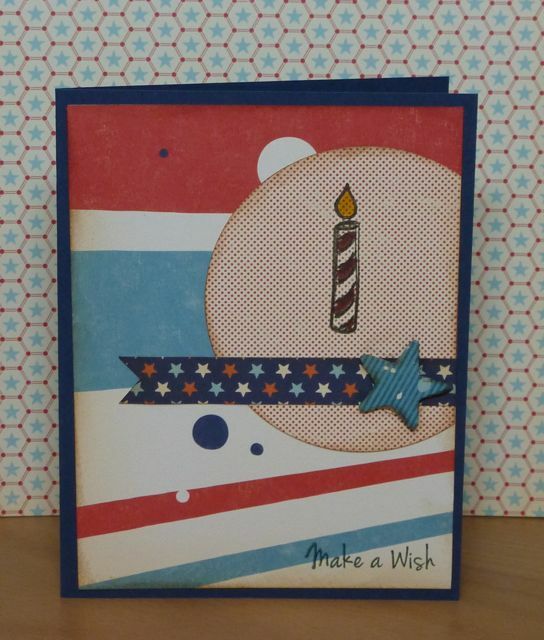 So happy you stopped by today:-) I have a "patriotic" colored birthday card to share with you. I have quite a few birthdays coming up. Most importantly my son who will be turning three on the fourth:-) This card, however, is for my oldest nephew. I used one of my favorite October Afternoon stacks, Rocket Age, along with some of my favorite stamps from Iron Gate Stamps, Birthday Wishes. I added a tad of dimension using a punched out star from a set of grunge board shapes by Tim Holtz. Thanks for playing at PDE Challenges. Love how you used this sketch and the dp you used. Thanks for playing with us over at Loves Rubberstamps!!! Fantastic. Sweet sentiment and design. Thank You for joining us this week at Loves Rubber Stamps. We do hope to see you again. Great card, love your simple design. Thanks for sharing with us at Loves Rubberstamps this week! hope to see you again soon! Wonderful CAS card! Love the great patterns going on and the single candle! Thank you for sharing with us at Card Crafter's Circle! Great take on the sketch! 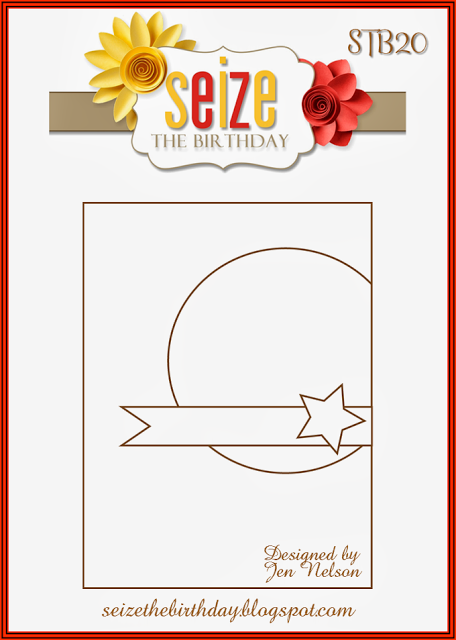 Thanks for playing along with Seize the Birthday!